In Part 2 of Pure Dog Talk's Dr. Jean Dodds series, Jean discusses Wholistic Medicine, food as medicine, and how to test your dog for food sensitivities. Food should be dense, have variety, be readily available and safe. Every animal's genomic structure is unique. Historically, dog's were carnivorous. As dogs followed man, they ate scraps and cereal or grain was added to their diet. The dog genome changed from the original wolf genome. But basically dogs are still carnivorous and require whole meats - bones, organ, tripe, flesh, and muscle. Raw is the first choice - either fresh, freeze dried, or frozen. Homemade Balanced Diet - Grain and Gluten-free, no wheat, corn or soy. Grain-free Premium Dry with Grain-free Premium canned food added. Dr. Jean Dodds created Nutriscan, to test for food intolerance and sensitivities for dogs and cats. Based on unique results, appropriate diets can be recommended. Food Sensitivities - How Do I Know? Dr. Jean says that if your dog is itching, excessively biting or chewing on himself, or rubbing his face that food sensitivities should be tested. Another sign is gas. Listen to your dog's belly to hear if there is excessive gurgling. We have all had upset stomach's so listen to your gut instinct. 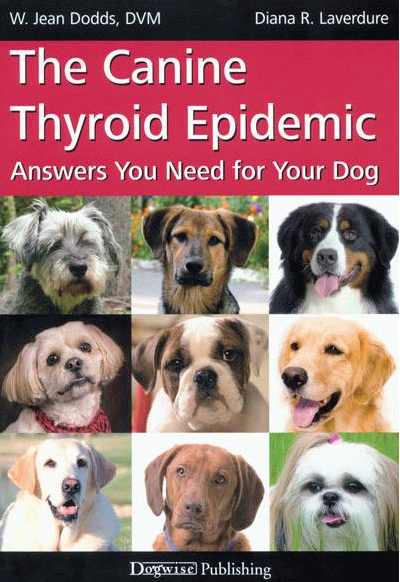 Here is a teaser from Dr. Jean on her Dogwise Book - The Canine Thyroid Epidemic - Answers You Need for Your Dog. 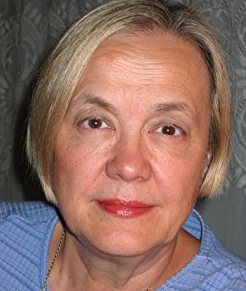 Noted veterinarian Jean Dodds and co-author Diana Laverdure have done the dog owning public and their vets a great service by writingThe Canine Thyroid Epidemic. The book is written in such a way to inform both the average dog owner and animal health care professionals about the ways in which thyroid disorders occur, can be prevented and treated. • The role of the thyroid and why it is essential to a dog’s health. • How to identify the clinical signs and symptoms of thyroid disorders. • The lab tests needed to identify thyroid problems and how to administer the proper medicines. • How an increasingly toxic environment can impact your dog’s health. Another great book from Dogwise Publishing!